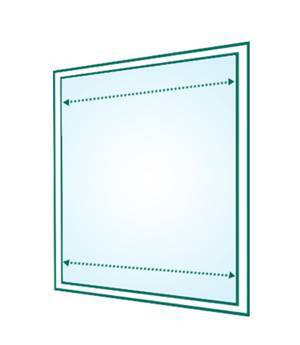 Neat fit blinds are suitable to use on all windows that feature a flexible (rubber/foam) gasket seal between the glass and frame. These will typically be aluminium or Upvc framed windows. If in doubt, please call our friendly service team on 0370 218 7042. 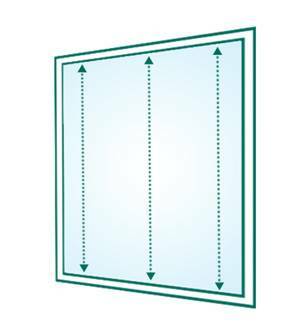 Take two measurements of the width, at the top and the bottom of the window. If there is any variation always use the shortest width to order your blinds. 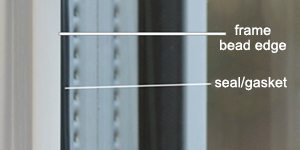 If the windows are particularly large you can take intermediate measurements to check. A small deduction of 2mm is taken from the width to ensure a perfect fit. Take three measurements of the window drop. If there are any variations, then always use the longest measurement. You must measure accurately and to the nearest millimetre to ensure a good fit.